Todd Swank: Happy 13th Birthday, Luke and Avery!! Our Baby Boys, Luke and Avery, turn 13 years old today. We are truly Blessed! There was a time that we never thought it was possible to see this day, but here we are. Thank You, God!! 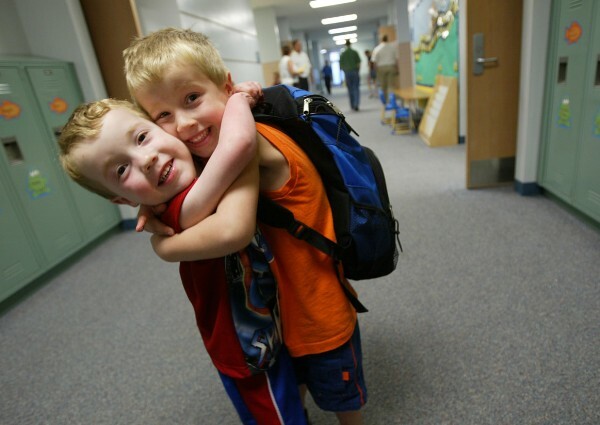 In Honor of the occasion, I thought it would be fun to re-post the story of their first day going to Kindergarten. It originally appeared in the Minnesota Star Tribune on September 22, 2004. ``Ta da!'' said a smiling Luke Swank as he showed his kindergarten teacher the picture he'd drawn of his family aboard a school bus. A few minutes before, Luke's fraternal twin brother, Avery, held up a graham cracker for examination. He had frosted it and arranged red, yellow and green Skittles to make a stoplight. ``Ooh, I finished it,'' he said. For kindergartners, pretty big achievements. For Luke and Avery, huge. The Prior Lake 5-year-olds have already endured a combined 14 surgeries, mostly to fix holes in their hearts. The boys stepped through the door of Pond's Edge school for the first time Sept. 2, Spiderman backpacks strapped to their shoulders, hand-in-hand with mom. It was a day that parents Todd and Sheri Swank feared might never arrive. Such dreams didn't mix with the prayers for blood clots to go away and for hearts simply to beat. ``We went through hell with these little guys,'' said Todd. Their trials began with an unexpected silence during an ultrasound examination. The couple were excited over their first pregnancy and the knowledge that they had twins. She had spotted holes in the boys' hearts. Doctors told the Swanks the problems could be corrected through surgery. Todd envisioned perhaps one surgery and a delay in the trip home from the maternity ward. ``It was nothing like that,'' he said. Prompted by concerns over Sheri's rising blood pressure, doctors delivered Luke and Avery by Caesarean section five weeks early. In the crowded delivery room, Todd got another surprise when a nurse pointed out Luke's hands. His left thumb was underdeveloped, and his right thumb and index finger were fused together. 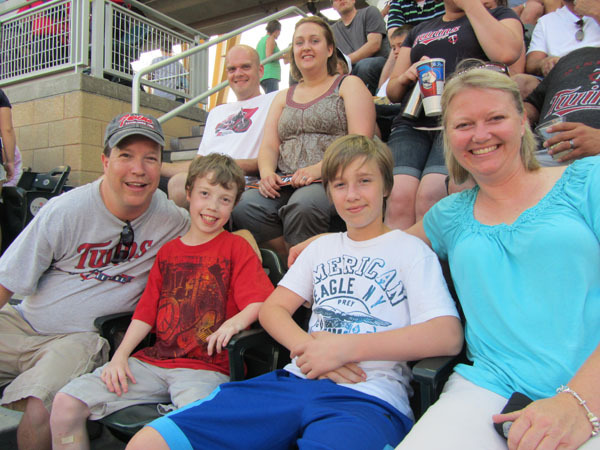 Luke had the same disorder, Holt Oram Syndrome, that his father was born with. It usually causes arms and thumbs to be abnormally short and shoulders to become narrow. Todd had no left thumb and when he was only a few weeks old, his right thumb was removed and replaced with his index finger, leaving him with eight fingers. Doctors eventually performed the same procedure on Luke's left hand, meaning he has one more finger than his dad. It's thought that the syndrome is responsible both for Luke's hand and heart maladies. 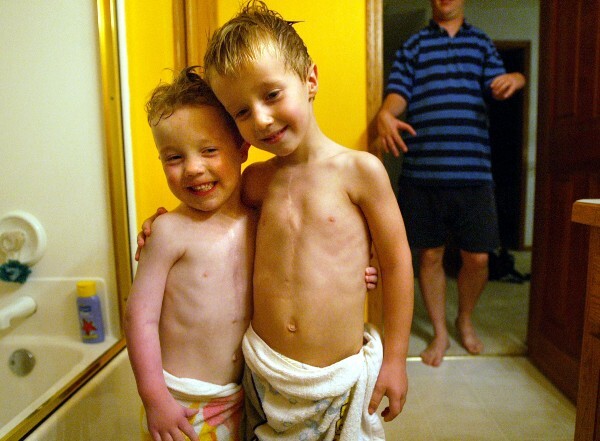 A week after their birth on July 14, 1999, Luke and Avery got to leave the hospital. Both went home with food tubes in their noses and hooked up to heart monitors. The following week was a blur of 25 to 30 monitor alarms each day and repeated spells when the boys vomited and turned blue. ``We were at this point terrified that we didn't know what we were doing with these children who were so sick,'' their father said. So they took the boys to the emergency room. Their blood flow was too out of control and it was decided that surgery couldn't wait. Back-to-back operations were scheduled in which doctors put rubber-band-like devices around the boys' pulmonary arteries to restrict the blood flow out of the heart. The surgeries went well and, afterward, Luke and Avery got to stay home for nearly two months. Todd and Sheri could finally start learning how to take care of two infants who sometimes didn't even look sick. By the end of November, that changed for Luke, leading to several ``black'' days for the family, Todd said. Luke wasn't eating or growing, and doctors ruled that it was time for more work on his heart. He returned to the operating room, where his heart was converted into two chambers, a procedure deemed vital but one that would necessitate even more surgeries later. At one point, their cardiologist pulled Todd and Sheri into a conference room - ``where you never want to go,'' Sheri said - and told them that things weren't going well. ``I don't know, I just didn't think it was his time,'' she said. 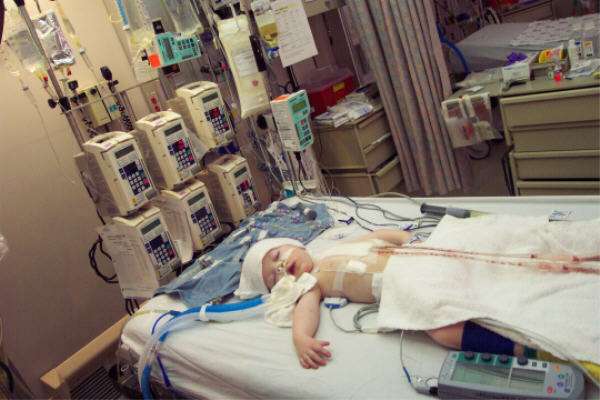 After the operation, Luke's heart stopped and he was put on a machine that pumped his blood for the next six days. By about the third day, Luke's condition turned around. He recovered, and by Christmas, the twins were together at home. Ten heart, hand and hernia surgeries followed. Luke was in the hospital most recently in May, to fight off an infection he had contracted in a previous operation. Through it all, Todd and Sheri have maintained a good-humored resolve. In the family's 2000 Christmas letter, they wrote that Avery was demanding a recount after learning that Luke outpaced him in the surgery count six to three. In another, Todd joked that he and Luke would soon launch their own line of gloves. The positive outlook has brought them to a new point in their lives: neither Luke nor Avery have any definite surgery on the horizon. Todd and Sheri's once-detailed recollection of their sons' many operations is slipping, a rather nice relief. They finally took the boys to Disney World this year, and they are getting big ideas about school and other activities. They can think about basketball-playing Avery's potential to grow up as a good athlete, and their guess that the ``charmer'' Luke might turn into a speaker of sorts. Both boys still go to check-ups with their cardiologist every six months. While Avery's heart now might develop normally, Luke's heart must work harder than most, making it important for him to take it easy on the playground. 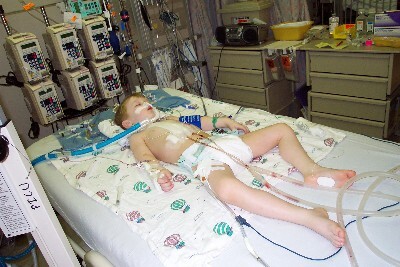 Doctors expect that Luke will eventually need a device to help pump his heart. Because of his hand condition, he will always face challenges in picking up or gripping things - tasks such as pulling a zipper. Todd is trying to walk the tightrope of convincing Luke, and Avery, that they shouldn't think they can't do things, while still recognizing their limits. ``Sometimes it's like, `Oh, crap. Maybe they shouldn't be doing that,' '' he said. He does want his sons and the obstacles they have overcome to be an inspiration to others. But he and Sheri have been in hospitals enough to sometimes regard their family's obstacles as almost minor. Experience has taught Todd and Sheri to realize that this new time - with Luke and Avery bringing home coloring projects and songs from school - can be a transient gift. Tom Ford is at tford@startribune.com.